Anyways... the palace property is enormous. The site of the palace started out as a hunting lodge of the king and was small by royal standards (with 20 rooms!). In addition to the main palace, there are two smaller mini-palaces called Le Grand Trianon and Le Petit Trianon, complete with their own gardens alongside the larger gardens of the main palace. This palace was commissioned by King Louis XIV after moving out from the Louvre because he was getting sick of Paris; it was dirty and crowded and the streets were not easily navigated. It's said that Louis XIV built Versailles, Louis XV enjoyed Versailles and Louis XVI paid for it (he was beheaded during the French Revolution!). The French monarchy was an absolute monarchy that meant that they were given absolute power over the state and only God could judge a king. Unions of kings and queens were based on political strategy and had nothing to do with love... kings had "favourites" because their unions lacked true love/choice. As well, absolute monarchy meant that God placed them there so they weren't perceived as normal humans with normal freedoms and rights. Their entire lives were spectacles for nobility. One of the reasons they had separate apartments was because from the moment they rose, to when they retired, they had an audience of their lives. That's right, they were put on display and had an audience upon wake and sleep. 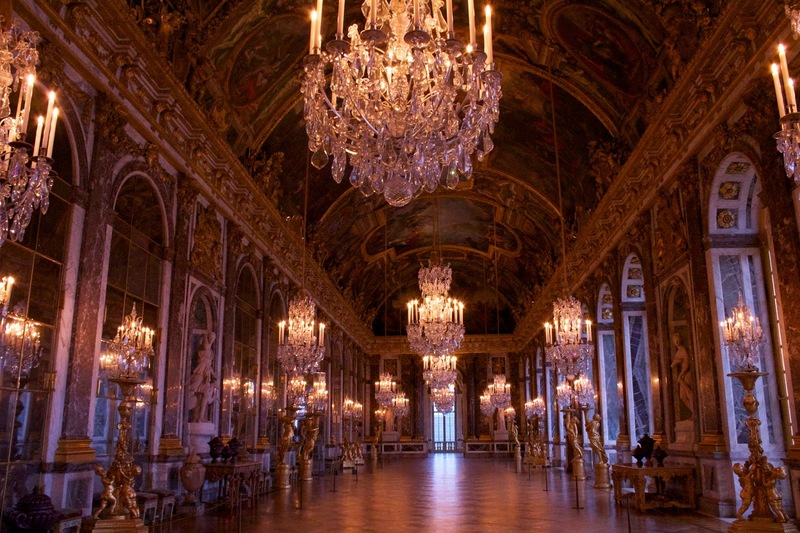 My favourite room is the Hall of Mirrors with 17 windows and 17 mirrors opposite; lined with Roman statues and other elaborate pieces. 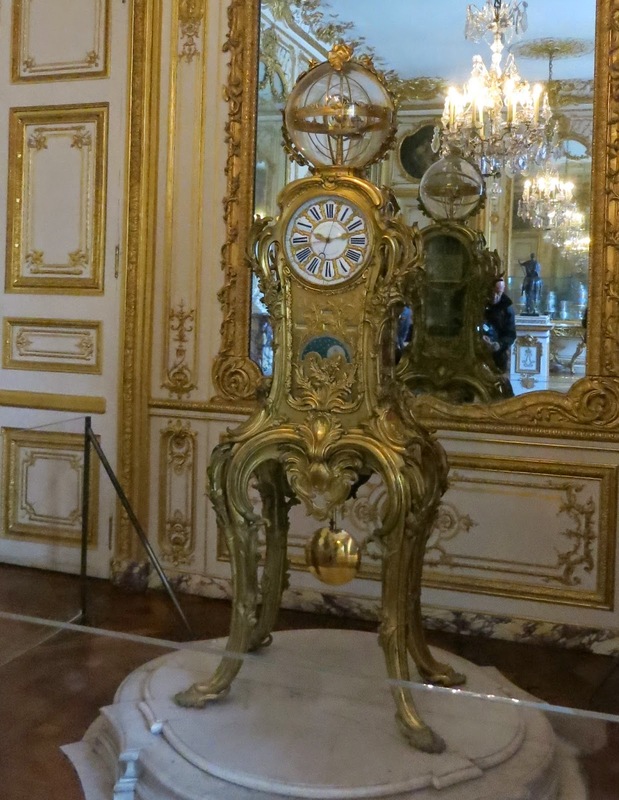 Similar to current times where rich men tend to get into gadgets and cars, the kings were into clocks and fine furniture that could take years to make. One of the king's desks took 9 years to craft. The main palace is extravagant and ornate in every sense of the word but when you get to the smaller palaces, they are often more modest (though who are we kidding? They're still really big compared to what most of us live in) in decor and size. The most famous (or infamous?) 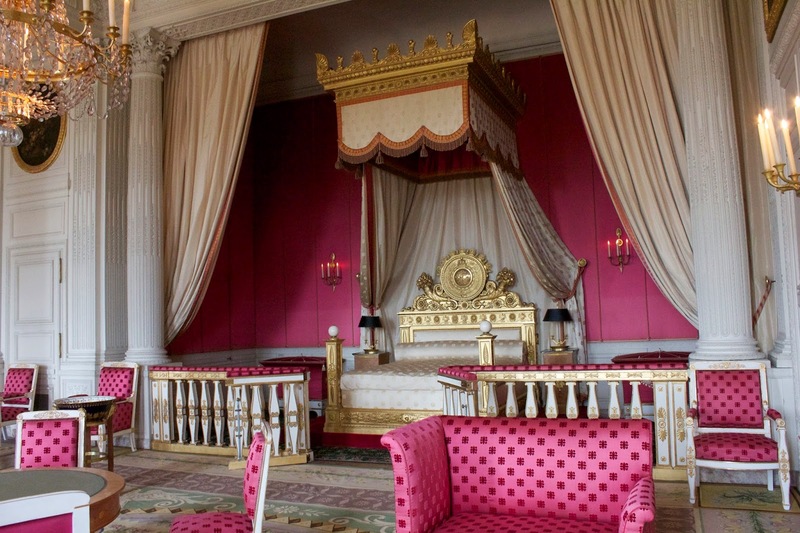 queen to have lived at Versailles was Marie Antoinette. She was of Austrian decent and married King Louis XVI. She used Le Petit Trianon as an escape from her royal duties and life and only invited her very close inner circle... even the King could not visit without an invitation! Her unpopularity had a lot to do with the fact that she's Austrian and even more with her extravagance; we were told MA had her sheep dyed pink and the cows wore diamond earrings. To learn more about MA, check out the Wiki article about her.